Package deals are a great value alternative to just film processing. We have sizes and services for all common film types and formats. After taking care to shoot your roll correctly, let a pro lab bring out the best from your film. There are no second chances with processing, so why risk your film on a cheap service elswhere. If you’d like more from your service than film developing alone, one of our packages might be just what you’re looking for. 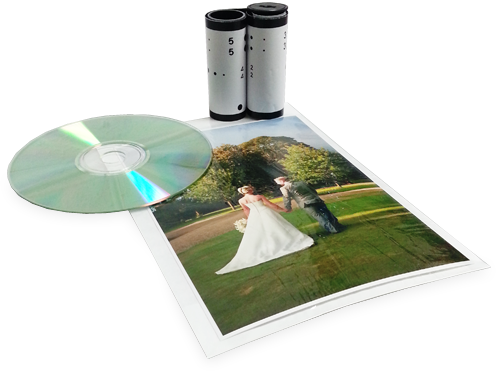 Package deals feature either scans, prints or both together with your film processing. Most major types of films and sizes are supported, so medium and large format users can enjoy professional quality at great prices too. Scans and prints are produced on our Fujifilm Frontier 570 minilab. Regular calibration, maintenance and fresh chemistry ensures colour accuracy is always high. From receipt of your film, standard E.T.A is 3 working days ‘in lab’. When sending film through the post, it is best practice to visit your local post office to confirm the postage cost. As always, it becomes cheaper to send several films in a single jiffy bag. Package deals that include prints will be returned via our standard royal mail 2nd class service and can be ordered online from our Analogue Shop. Special delivery is available for those with tight deadlines or the extra cautious, contact us for more details. We can process your film through a variety of different chemistries, E6 is developed in-house through our dip & dunk machine and we also mount slides here too. A table of film types & scanning resolutions. Scan package deals include film processing and scanning at your desired size. Package deal scans are delivered on CD as jpg files. Each CD will contain several folders, with each folder holding small, medium or large scans. Small scans are ideal for web use, large scans are what you would want to print from. Below is a list of resolutions for a variety of film types. Please note that whilst the file size of jpeg images can vary due to the subject within the image, scans at the same size will contain the same amount of pixels. Professional digital printing on Matte or Gloss. Print package deals include film processing and printing to your desired print size. It may seem old fashioned in this wondrous age of technology, but having a tactile physical print cannot be reproduced on screen. It is all the more important then that prints be colour accurate, with correct density. We have been producing high quality prints for the professional photography market for decades. Our colour calibrated workflow uses Fujifilm chemistry and papers to provide an archival life for your digital prints of up to 70 years. If your print is important, print it professionally. It’s the veritable trilogy of film services. For clarification, our film processing, scan & print package deals include processing, scanning and printing to your desired size. Sorry to state the obvious. With a small additional cost you can enjoy the best of both worlds with scans and prints. Sizes are matched, so if you order a 6×4″ package deal, you will receive 6×4″ prints and 6×4″ scans (6×4″ scans contain 1800×1200 pixels and will print at 6×4″ @ 300dpi). A full compliment of film types and package options are available to order from our Analogue Shop. Needless to say, if you have a query feel free to contact us. You can also receive your scans at the speed of light (well the internet) by selecting ‘Digital Transfer’ when ordering through our analogue shop. It makes shooting film ‘almost’ as instant as digital. Pixels, picas and points… oh my! Jpgs apply a variable amount of compression to each individual image. This means that out of 36 shots, all 36 could vary in file size. Honestly, it is easier to say what it doesn’t mean. Different file sizes don’t mean that your scans are different sizes! Every image scanned as part of a 6×4″ package deal will contain 1800×1200 pixels (1800 pixels along the longest side and 1200 pixels along the shortest side). However, if 1 scan is of a clear blue sky then more compression can be applied without sacrificing fine detail (compression is applied by the minilab and is not something we can control). Our scan of the clear blue sky will have a smaller file size than… lets say a scan of a corn field, but both will contain 1800×1200 pixels. Both will be the same size. Join hundreds who send in their film every week. Yes we still receive a sack load of films every day from customers across the UK. Each film is booked in and out so we can follow its progress every step of the way. Black & White processing is done by hand (the analogue way!) and our E6 machine is a ‘Dip & Dunk’ meaning no nasty roller marks on your beautiful slides. When sending in a film, we strongly suggest you take it to your local post office to have it weighed and measured. Correct postage applied to your film packet will ensure it doesn’t languish in postal limbo for 8 weeks before finally being returned to you. Even better, put several films in a small jiffy bag as this usually costs the same as sending just a single film. Payment is taken via PayPal at the time of ordering.